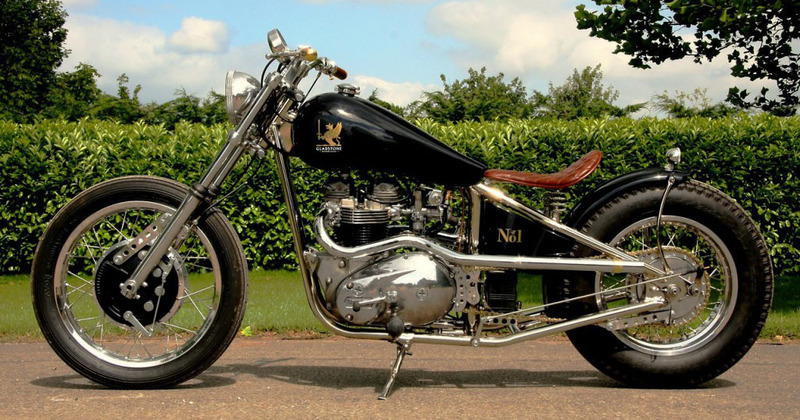 Gladstone Motorcycles is a British bespoke motorcycle brand engaged in the design and build of limited production runs of fine handmade British motorcycles. Founded by CEO Henry Cole, a lifelong passionate motorcycle enthusiast, writer, adventurer and TV presenter of two long running TV series: World’s Greatest Motorcycle Rides and The Motorbike Show. 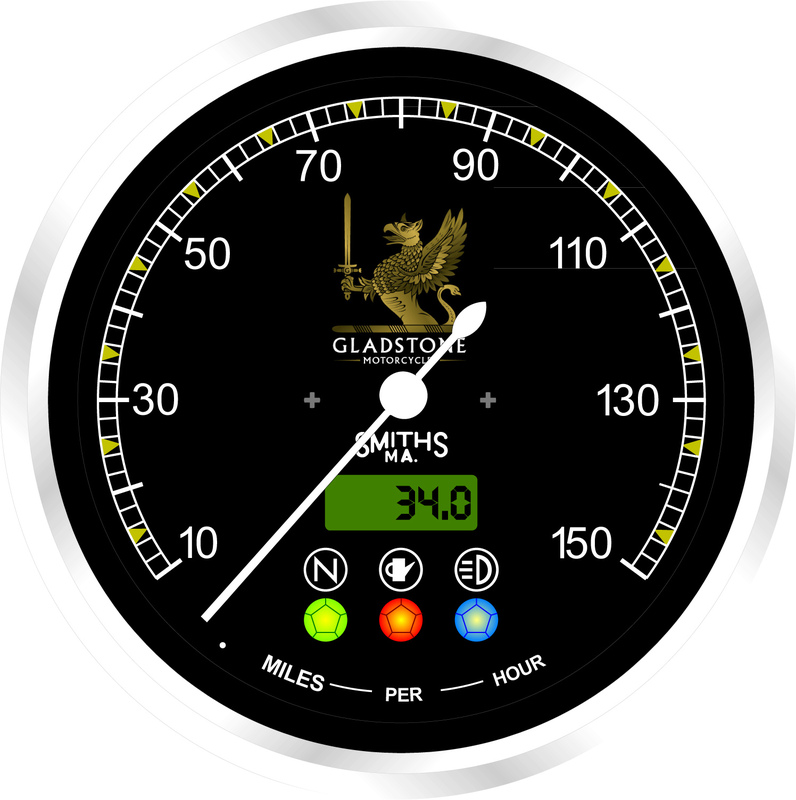 Introduced at the Stafford Classic Bike show in 2014, we were thrilled when Henry Cole quickly re-established contact with CAI to design and manufacture a Speedometer for the luxury No1 Gladstone Motorcycle. 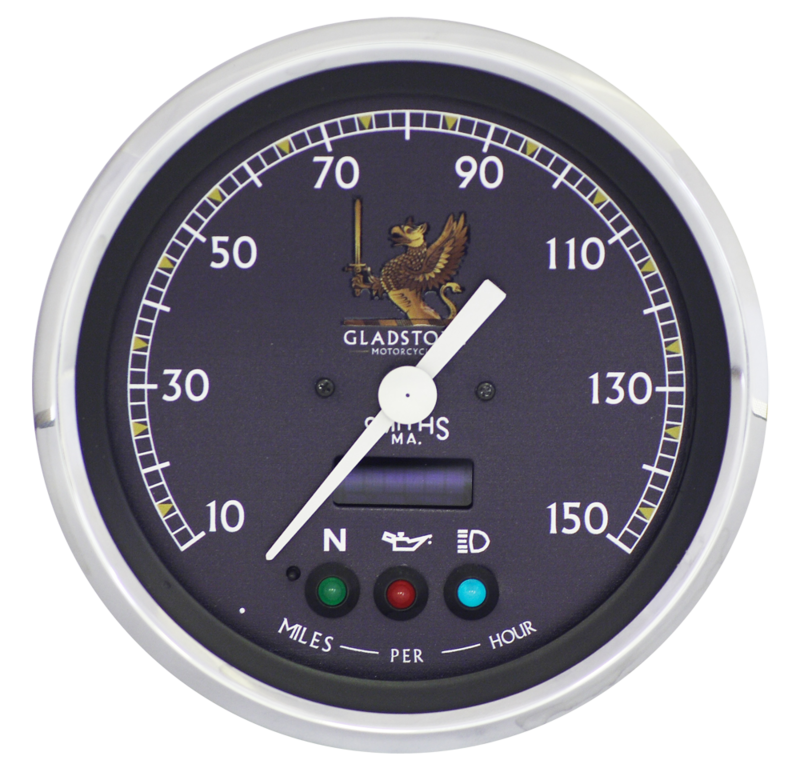 The original design of the 120mm 10-150mph speedometer featured a black dial, white print, white standard tapered pointer, chrome bezel, housed in a billet case with white LED illumination. Three coloured warning lights included Neutral (Green), Low Fuel (Red) and Hi-Beam (Blue). LCD total trip counter features above the iso symbols. The signature Gladstone Logo and SMITHS logo were included in the design. 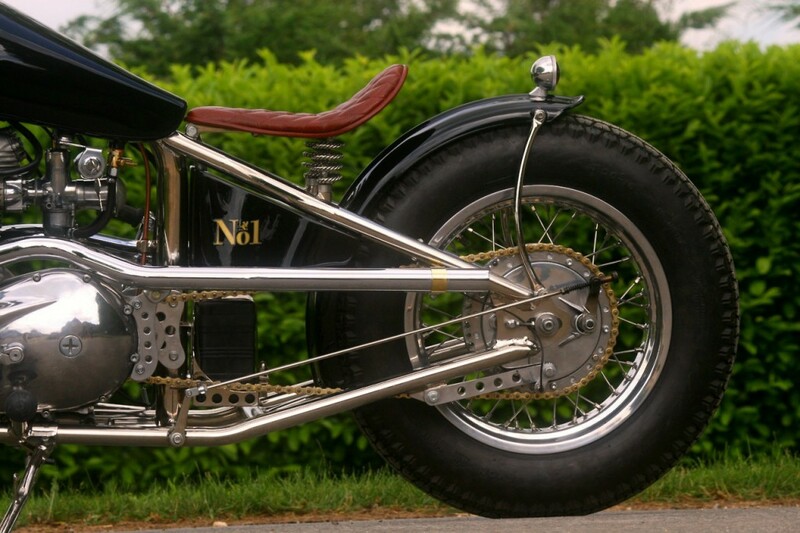 Designed to sit on the top yoke of the bike, the case was supplied by Gladstone specifically for this purpose. 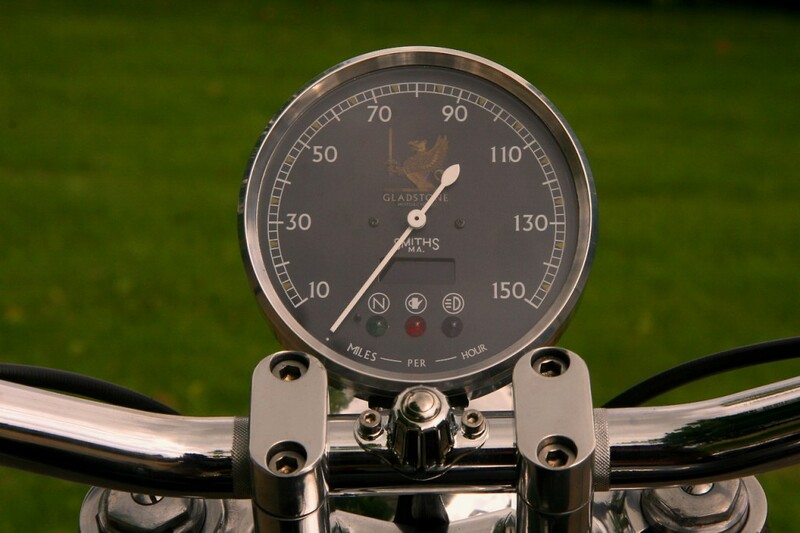 The Speedometer styling was then revised with slight modifications to the iso warning light symbols. Gold coloured raised chaplets compliment the design whilst a teardrop pointer was used to replace the standard pointer which further accentuates the chronometric look of the instrument. 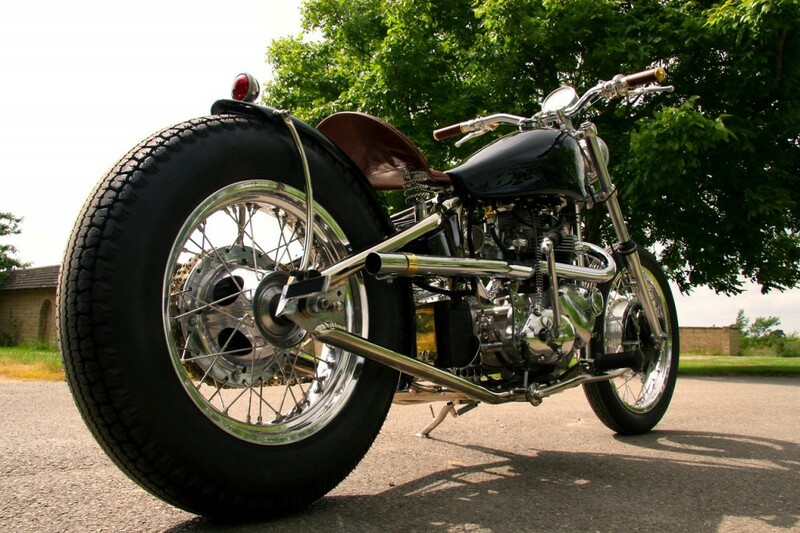 Working with Gladstone Motorcycles and Henry Cole was a great experience for CAI and has paved the way to similar projects which have since followed. We continue to supply Gladstone Motorcycles and look forward to working on future designs.